RAYMONDVILLE — For one month, residents joined authorities in the search for Nora Conde Villalobos after she went missing April 19. At home, her family prayed, holding out hope the 49-year-old ex-Marine was somewhere safe. Then on Tuesday, authorities pulled a body out of Delta Lake. Yesterday, Conde Villalobos’ boyfriend was charged with her first-degree murder. Juan Manuel Tobias Jr., 35, was being held on $1 million bail in the Willacy County Jail. At the family’s home, Anita Conde said a Texas Ranger was expected to meet with her family yesterday afternoon to discuss her sister’s case. Anita Conde said her sister had dated Tobias for about a year. In court, Municipal Judge Felicita Gutierrez set Tobias’ bail at $1 million based on District Attorney Annette Hinojosa’s recommendation. Hinojosa warned Tobias, with a history of domestic violence, had ties to family in Mexico that made him a flight risk. “He has enough money to get out with a low bond,” Gutierrez told reporters after his arraignment. Tobias, who said he was a Mexican citizen, told Gutierrez he would hire an attorney. 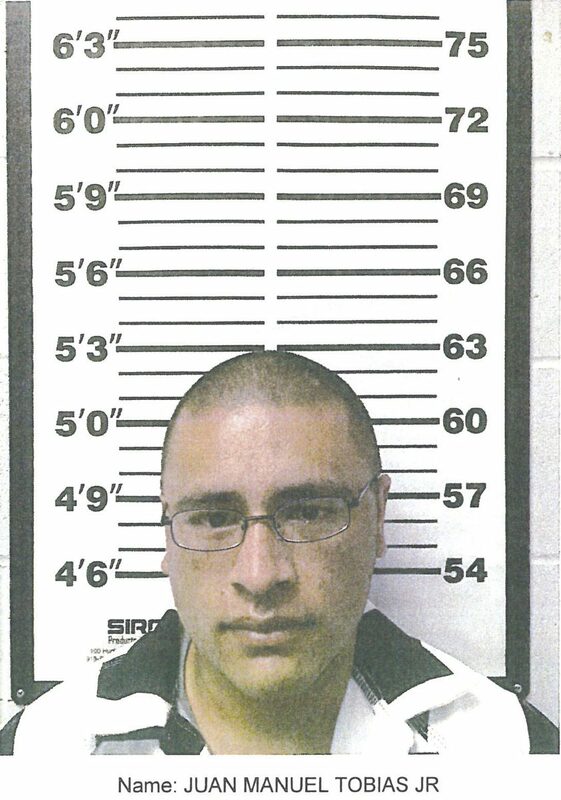 Before a group of reporters, Gutierrez said Conde Villalobos was the victim in the case. But Hinojosa said she was not prepared to identify the remains found in Delta Lake because she had not received a pathologist’s report. Today, authorities expect Conde’s family to attend a press conference set for 3 p.m.
“We want the family to be available,” Hinojosa said. Late Tuesday morning, authorities pulled Nora Villalobos Conde’s body from the back of Delta Lake in an area off FM 1015 south of Lasara in Hidalgo County. That afternoon, police arrested Tobias at the police department. Tobias, an air-conditioner mechanic, is a Raymondville High School graduate who studied at Texas State Technical College, according to his Facebook page. On her Facebook page, Villalobos Conde wrote she went to Raymondville High School and worked as a manager at Whataburger.